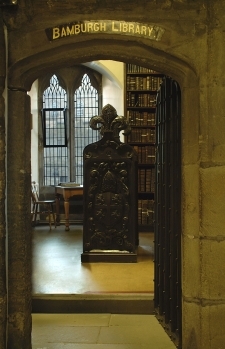 The Bamburgh Library is an eclectic collection which originated with the Sharp family's library from between the mid-17th and mid-18th centuries, augmented by Dr John Sharp and then part sold and part gifted to the Trustees, who operated it as a public library in Bamburgh Castle. 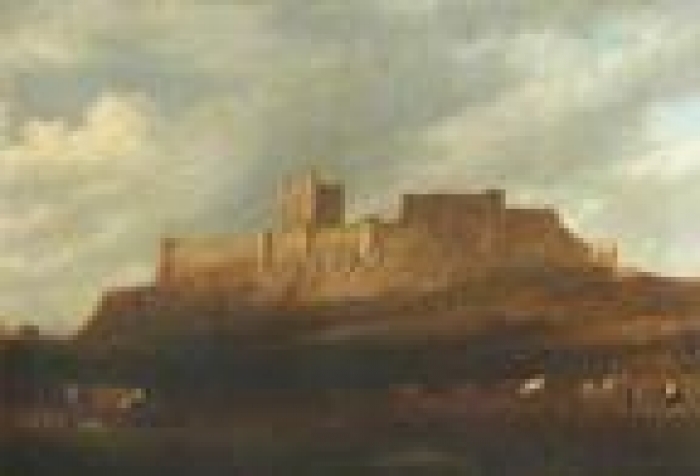 After the sale of the castle to Lord Armstrong, it remained the property of the trustees while still based there. Some selected items were transferred to Durham in 1938, and in 1958 the entire collection was deposited in Durham University Library, with the exception of the music (both printed and manuscript) which was deposited in Durham Cathedral Library. The collection is very varied in content. It is particularly strong on 17th Century controversy and science; early anti-slavery literature; extensive runs of both English and foreign early periodicals; some notable early atlases; good holdings of theology, common law and English literature; and some French and Italian literature. There are around 8,500 titles including 16 incunabula (of which 6 are English) and 320 foreign 16th century books. Manuscripts in the University Library part of the collection include two medieval manuscripts and more than 20 volumes and files of papers. These are mainly records of the Sharp family's book collection and the subsequent history of the library at Bamburgh Castle, but also include a commonplace book of Archdeacon Sharp, an 18th century gunnery manual and a 19th century enquiry into schools in Northumberland. Additionally the Cathedral Library holds around 40 music manuscripts, including secular and sacred, vocal and instrumental items. These are largely 17th and 18th century and were copied either by or for members of the Sharp family. They also include some music from the collection of the Hon. Edward Finch (1664-1738). These holdings are catalogued on pp 82-93 of Brian Crosby's A Catalogue of Durham Cathedral Music, published Oxford 1986.